Locavore is a Filipino restaurant that made its mark with the signature dishes they innovated. 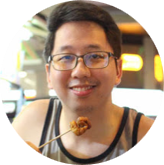 My first encounter with the restaurant was in 2015, and it made a good impression (with slight hesitation). In 2017, I got the chance to dine there once again, this time in the BGC branch to celebrate my younger brother's birthday. 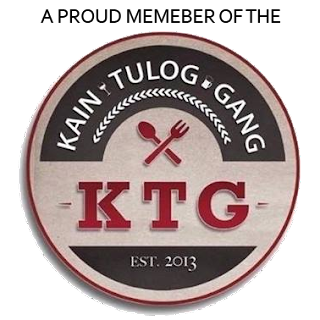 The concept of Locavore in my perception is to reintroduce Filipino cuisine, and translate it into something modern. 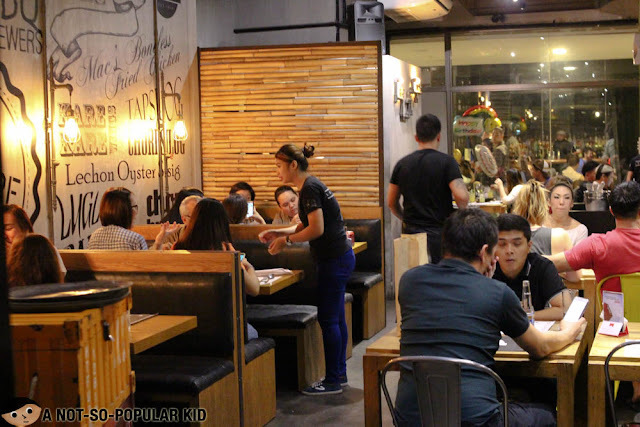 It tries to address the dilemma of foodies who are hesitant in going to a Filipino restaurant all because they can have them at home. Admittedly, this idea works perfectly. 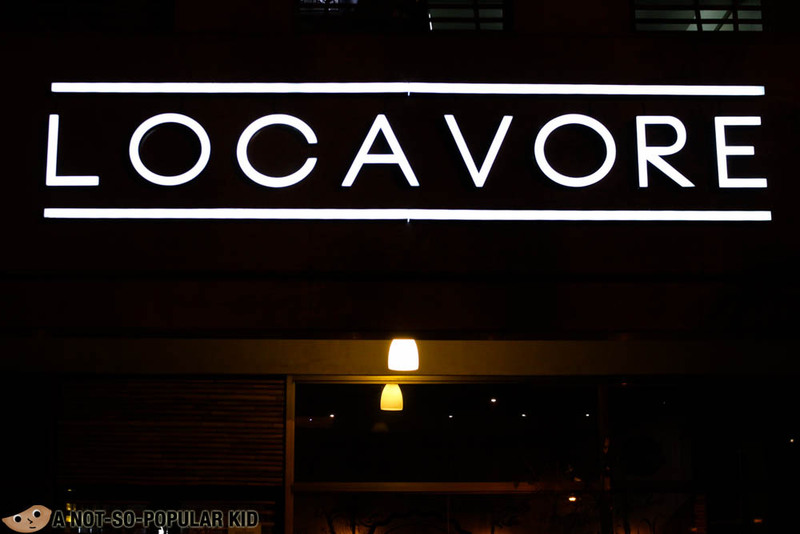 In line with its concept, Locavore tries to strike a balance between modern and traditional. Modern with respect to the interior, music and set-up, and traditional in terms of retaining the warm Filipino hospitality. 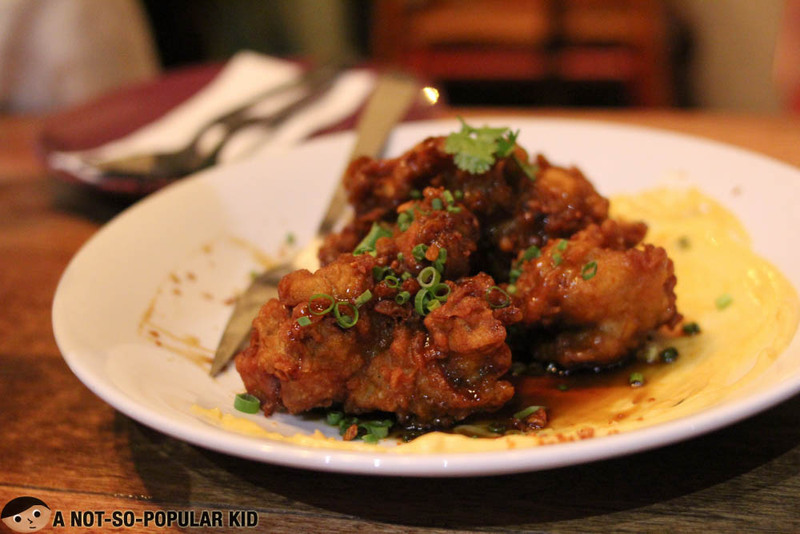 The Mac's Boneless Fried Chicken (P230) featured the soy-garlic zest we often crave. 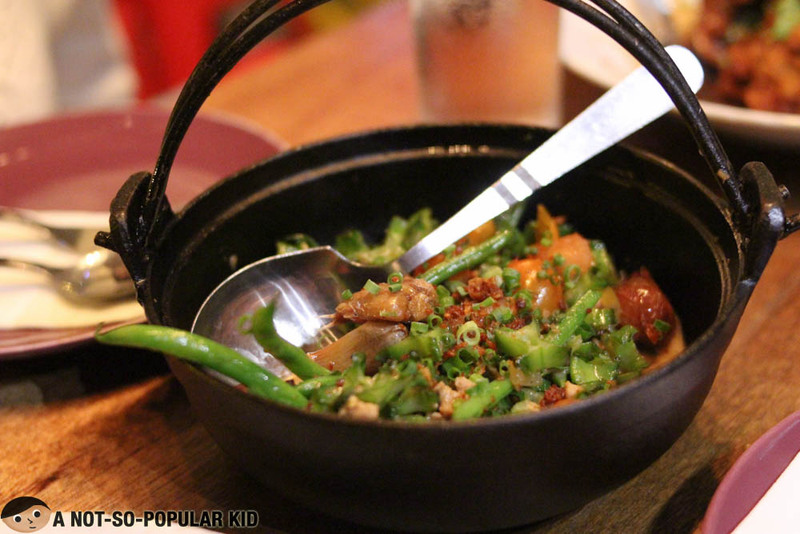 It's perfect for those who has sweet tooth as the sauce is prominently sweet with a mix of soy and garlic combination. 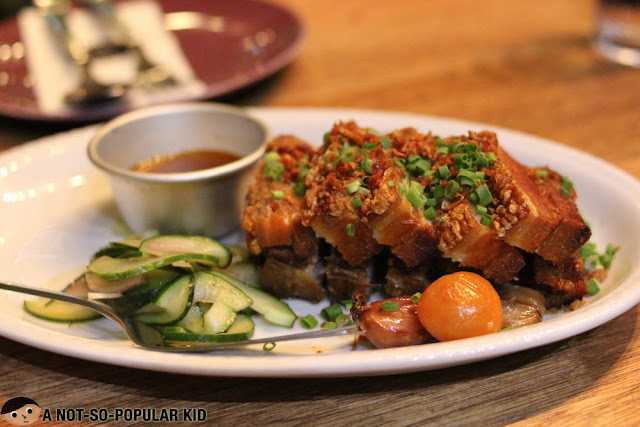 The Boneless Lechon Belly (P520) is likened to a bagnet and altogether Cebu's lechon with its well-defined crunch and taste. With its ideal frying, the belly generated flavors that the palate appreciates. Dipping it in the vinegar gave it bolder taste. 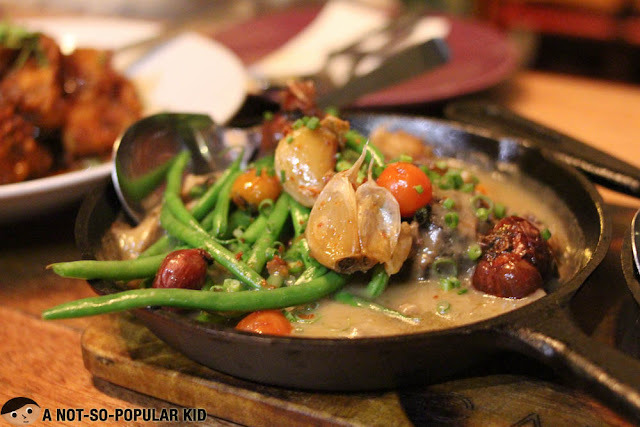 The Sizzling Sinigang (P520) has a viscous soup allowing the sharp sour goodness to take a grip on the meat as well as the veggies. The experience is intense so you may need to manage it by taking smaller portions at spaced intervals. More surprise awaits from the cherry tomatoes as they burst in the mouth. 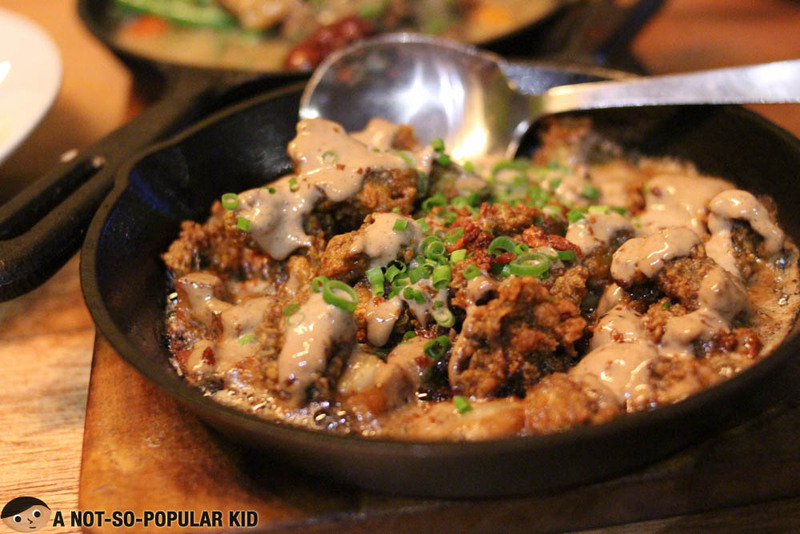 To check whether the Lechon Oyster Sisig (P380) still has the x factor, we ordered it once more. After 2 years, it still maintained its sinfully savory goodness! Read more about this dish in my first post on Locovare in Pasig City circa 2015. If you are getting all tired with traditional Filipino cooking, Locavore will surely refresh and reignite the love for our own. Each dish is re-imagined by infusing more creativity. 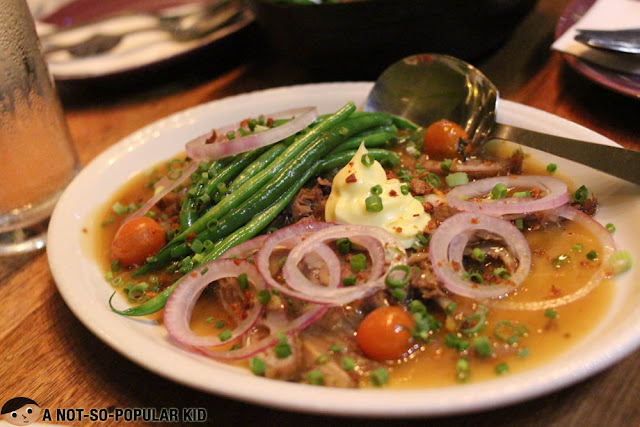 This results to quality Filipino dishes that really provide a playful jolt for the palate. Two-thumbs up for this restaurant!